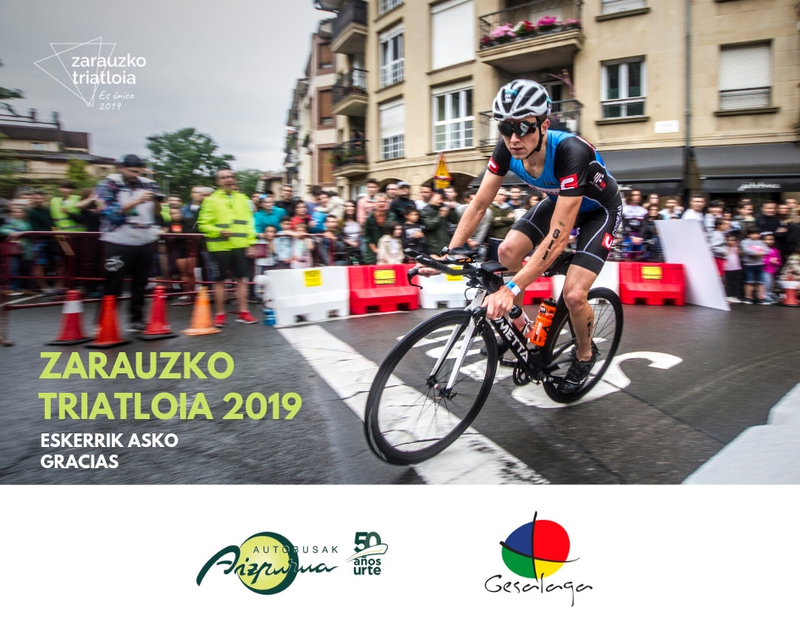 Almost two months after the draw made among the athletes who completed the pre-registration, yesterday morning we presented the 33rd edition of one of the most significant sports events in Zarautz: Zarauzko Triatloia in the Citizen Service Service office in Zarautz. 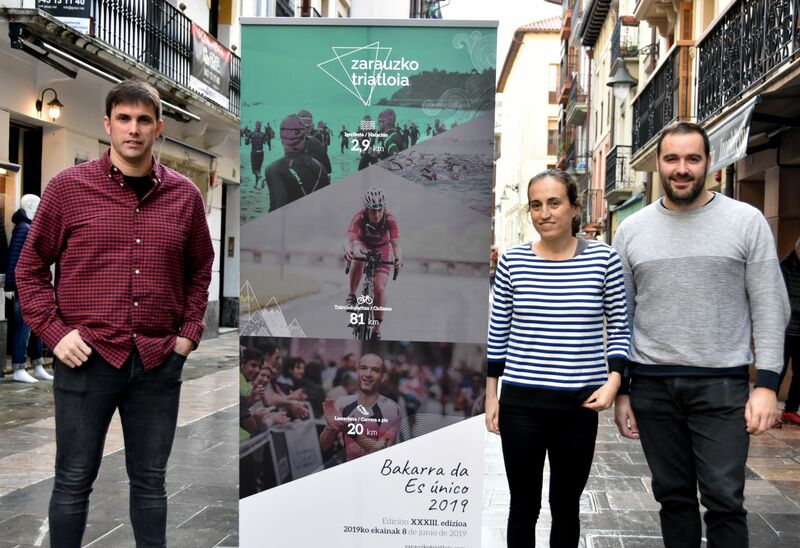 Gorka Silvan, president of Zarauzko Triatloi Elkartea, participated in the press conference; Ainhoa Murua, Olympic triathlete; and Iban San Martin, Councilor for Sports of the City of Zarautz. 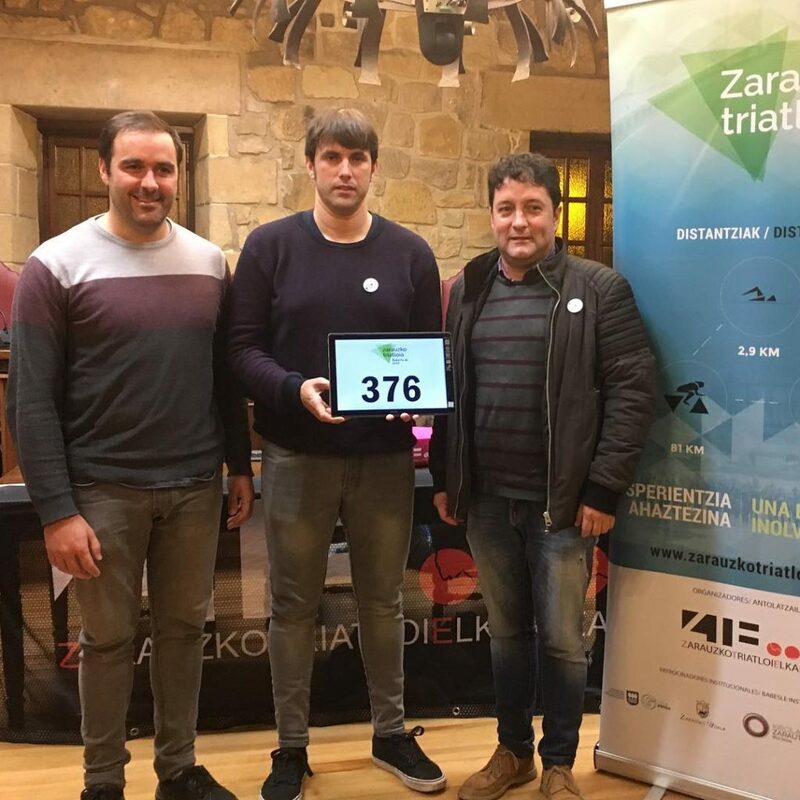 On November 28th the draw took place among those registered for the Zarauzko Triatloia that will take place on June 8, 2019, which was held by President Gorka Silvan, Mayor Xabier Txurruka and Iban San Martin, the Sports Councilman, gathered in the Sala of Plenaries of the City Council of Zarautz. 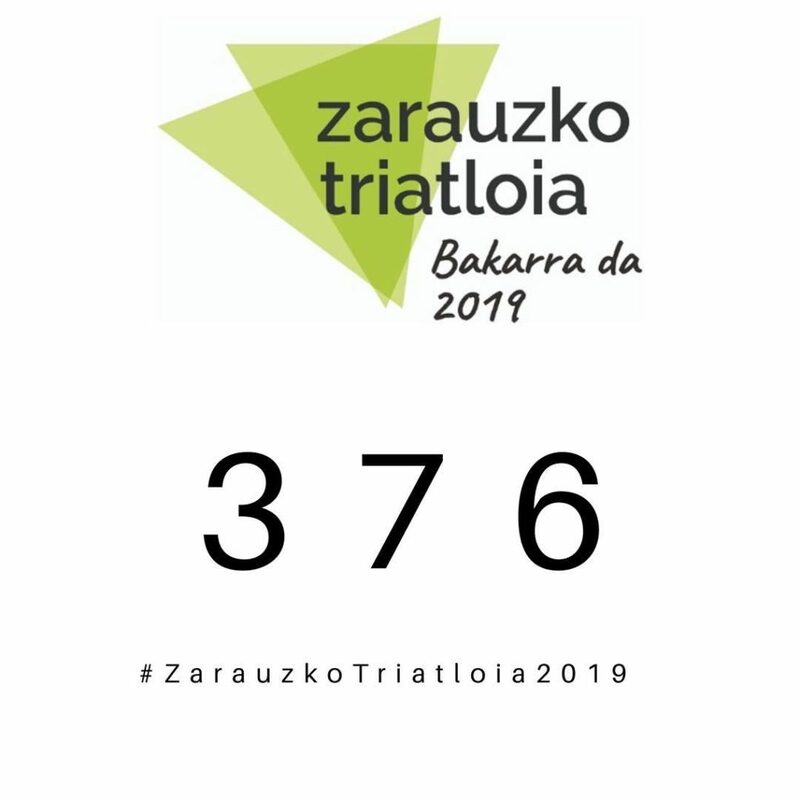 The winning number was 376 and together with that, the pre-registered for the 599 subsequent numbers won the opportunity to register for the Zarauzko Triatloia 2019. In this edition there were 2,800 pre-registered people, 40% more than last year. The most significant piece of provisional registration is related to the presence of women. 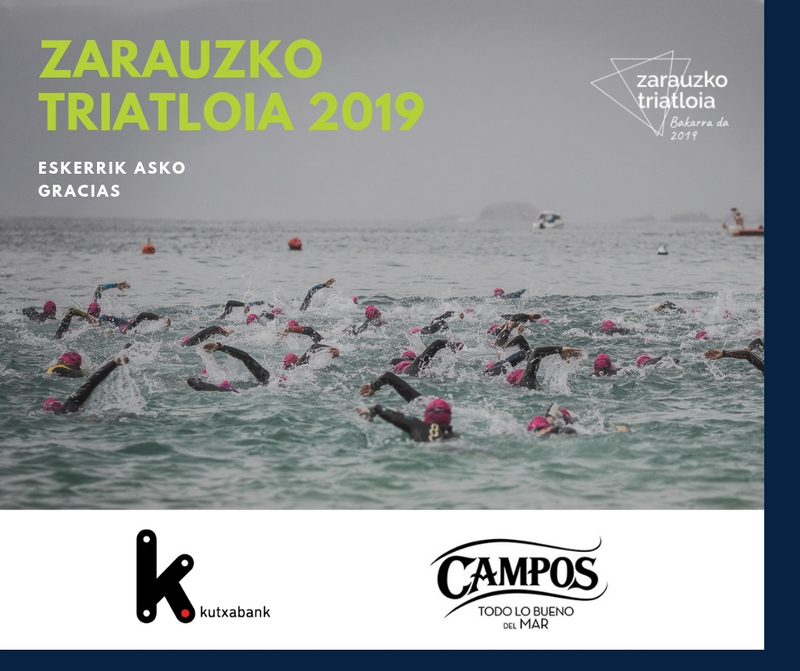 All members of the Zarauzko Triatloia communicate with enthusiasm that 99 of the 700 bib numbers will be for female triathletes, that is, 58% more than last year. As for the origin of the triathletes, we have 279 Basque participants in this edition, 369 from the State and 52 from abroad. The latter come from France, England, Switzerland, Germany, Belgium and Portugal. 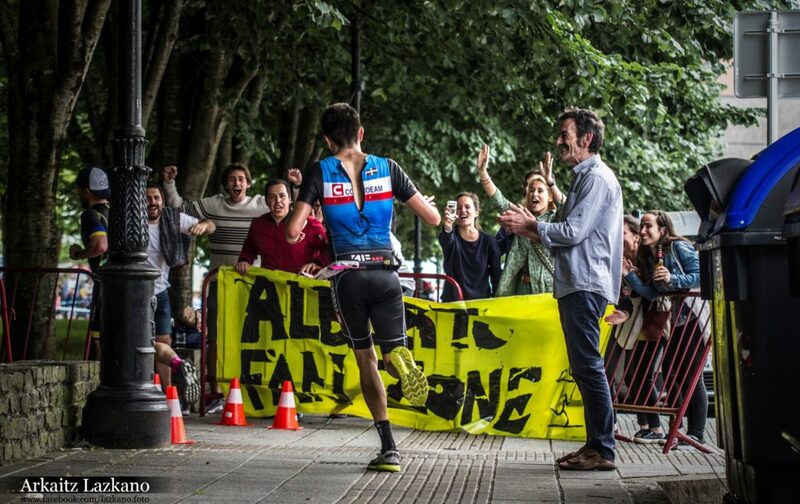 Thanks to the involvement of the people of Zarautz and the spectators who come to see the event year after year, the festive and euskaldun atmosphere that is breathed during the triathlon is one of its main characteristics. The test goes through the entire village to end in the Plaza del Ayuntamiento, transmitting to all participants the heat and strength of the spectators in their path during the tour. 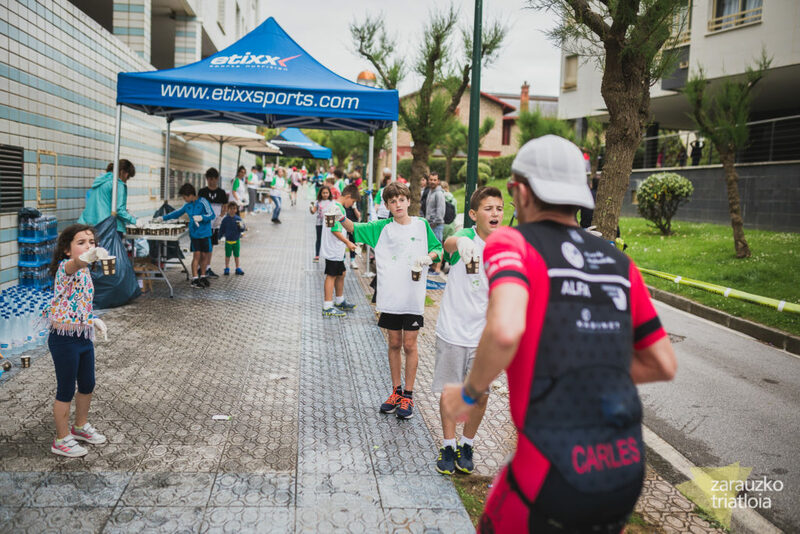 Much more than a sports festival, Zarauzko Triatloia is a party for the Zarautz, and participants never forget the support received. The 2.9-kilometer journey through the sea between two towns, Getaria-Zarautz, the 81-kilometer long bike ride and the 20-kilometer foot race across the town, is lived in a unique environment. makes the Zarauzko Triatloia circuit unique. In addition, it is a test with distances and characteristics different from the common, a challenge that tests any athlete and adds to the uniqueness of the test. 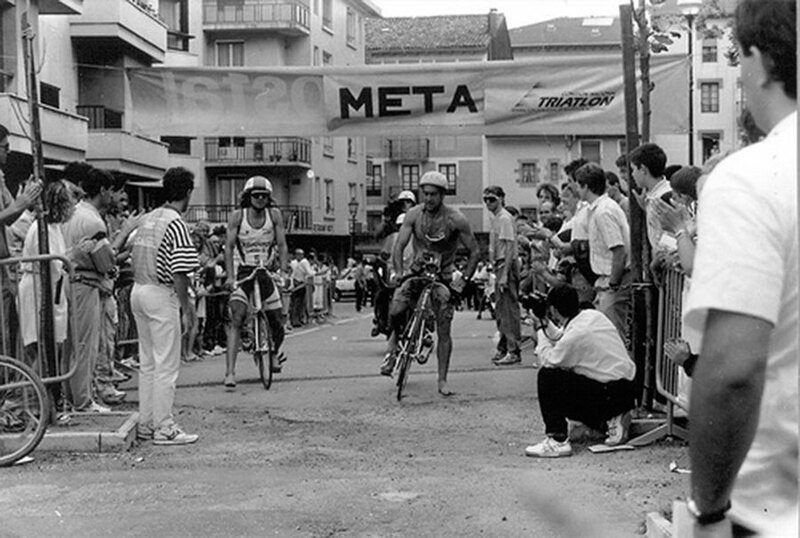 Zarauzko Triatloia was held for the first time in 1987, when the world of triathlons was still to be developed. It was one of the first triathlons held nationally, has atypical distances and is one of the oldest of its level. All these characteristics, once again, will attract in this 33 edition to 700 triathletes from around the world to Zarautz. The fact that the assistants are local guarantees that Basque is the main language of the triathlon. Although communication by the Association is bilingual, Basque is prioritized; the journalists, the members of Zarauzko Triatloi Elkartea … In addition to the language, there are several elements directly related to Basque culture, such as the “txapela” of the winner or winner of the event, the dinner based on Basque cuisine offered to all the participants or the music that sounds during the whole test. All this grants a unique identity to Zarauzko Triatloia, and aware of the importance of this essence, in the 33rd edition of this triathlon we intend to maintain the same characteristics as up to now, combining sporting hardness with the opportunity to sail beautiful landscapes, and maintaining the same number of participants. And, the quality of the test is directly related to its size. 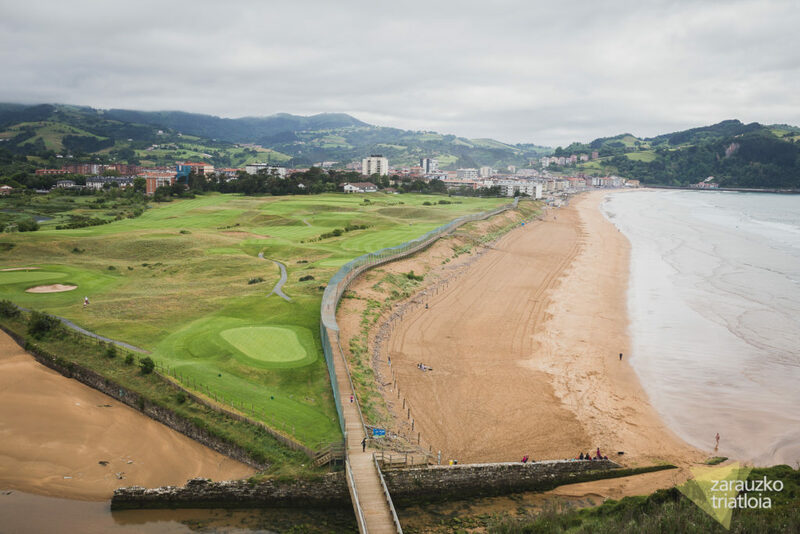 Limiting the number of participants to 700 people makes possible an exceptional journey that starts at Getaria beach and ends in the center of Zarautz. Carrying out an itinerary of these characteristics would be impossible without the selfless help of the 300 volunteers that are offered each year. Thanks to them, the triathletes receive indications along the whole trajectory, in addition to the warmest spirits. From Zarauzko Triatloi Elkartea, we want to thank with all our hearts the work of the volunteers, the help of the town councils of the villages through which the triathlon takes place and of course, the support of Bittor Uyarra, who has been at our side since the beginning of Zarauzko Triatloia. Ver la noticia en El Diario Vasco, Zarauzko Hitza y Erlo Telebista.